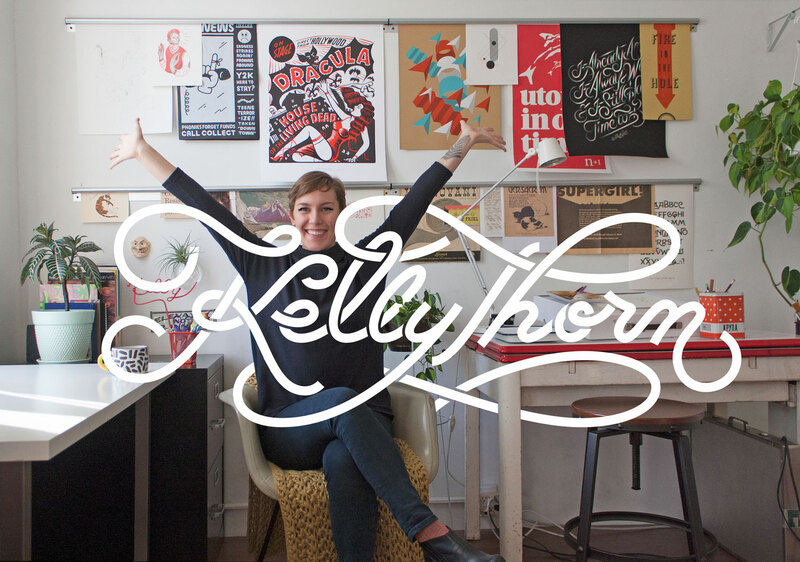 A Twofer alert from our 25th Guest Post’r Kelly Thorn! Learn the joys of hand-done and digital techniques in just one class. Join the new Skillshare class Hand Meets Cursor: Combining Hand-Done and Digital Techniques in Lettering to learn how to make a monogram that combines the tactile, imperfect look of handiwork with the polish and refinement of a digital illustration. In this 45-minute class, you’ll follow Kelly through the process of creating a monogram word, from early research, painting, and drawing to refining details in Adobe Illustrator. Whether you’re a graphic designer, lettering artist, or just a type enthusiast, you’ll walk away with your own word-piece that seamlessly combines both hand-drawn and vector elements.